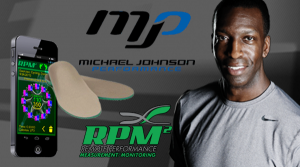 If you follow our blog or social media, you have probably noticed that our team at RPM² has been educating athletes from around the world by providing demonstrations of our products. Just recently, RPM² and our corporate partner, Michael Johnson Performance (MJP), Inc. worked with the Brazilian Paralympics team. We were honored to team up with such high-caliber athletes to see how our products could help the team’s coaches and trainers track performance. Performance specialist at MJP, Inc., Lindsey Andersen worked closely with the Paralympics team. In our interview with her, she stated that RPM² devices were used to track the performance of athletes in range of motion tests to determine readiness for training. RPM² is also used to monitor performance at the end of a training session so that coaches can check for bilateral equivalence issues, hip flexion, and extension. Using this data at the end of a workout essentially works as a self-checking mechanism for trainers to see if adjustments in warm-ups and workouts need to be made. Lindsey Anderson went on to explain the importance of being able to measure hip flexion when it comes to running. Since hip flexion is a factor in all phases of running—from the acceleration phase to drive phase— determining the flexibility of the pelvic muscles and openness of the joints is vital to ensuring a productive and safe workout. Lindsey Anderson believes using RPM² footbeds to measure hip flexion is paramount to improving performance because sprinters are notorious for having limited range of motion, specifically on hip flexors and quadriceps. She goes on to say that, pinpointing areas of improvement with data prior to training can lead to developing more efficient and effective performance during workouts. We have embedded the full video below so that you can see these dedicated athletes in action. If you want to stay up to date with RPM², we welcome you to subscribe to our blog, visit our website, and follow us on Twitter and Facebook.